Akrotiri on the southwestern tip of the island at a distance of 15 km from the center Fira, is an amazing option when you are visiting the exquisite island of Santorini. Known for its prehistoric significance the important thing to remember is that it is a quiet village that offers you tranquility and peace of mind above all. The area attracts annually thousands of travelers from all over the world wishing to admire the or historical importance area that is so much more than an ancient city. From the top of the area you can see the caldera of the volcano and the whole of the island itself and you will definitely be amazed by this astonishing sight! With amazing beaches nearby, the red Beach and Vlichada and the majority of the taverns of the surrounding area offer you only the best greek delicacies. 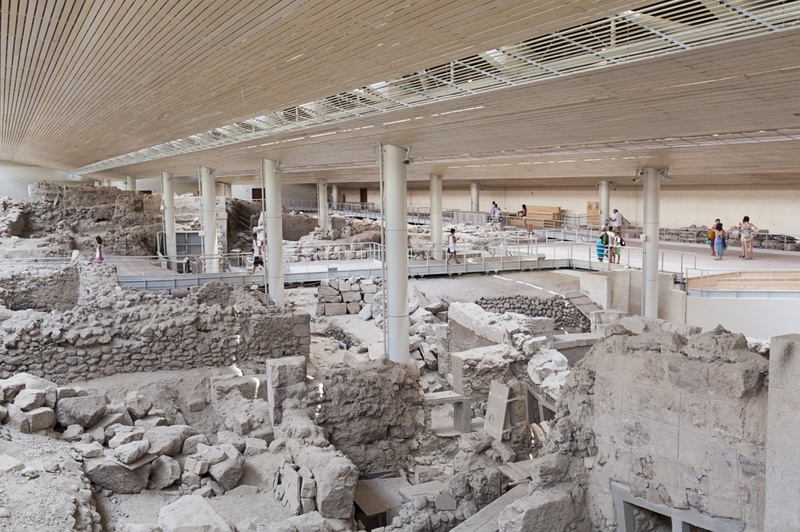 Cease the chance to explore this amazing island and visit Akrotiri, one of the most popular archaeological sites in the Aegean that is definitely worth paying a visit even if you are staying in a different place. Do not forget that from Akrotiri you can easily access Perissa as well for an unforgettable day of swimming. Also do not forget that the area is famous for the exquisite ancient site of Akrotiri, believed to be part of the Lost Continent of Atlantis, and for the Red Beach. In Akrotiri one thing is certain you will enjoy greek food to one of the various taverns built inside the rock along with relaxing walks along ancient Akrotiri's main street that is full with stores and cafes set in the most ideal setting in the most romantic greek island. The essential thing to consider is that once you visit the island you will have many chances to explore the island’s rich archaeological heritage and live life through the eyes of the locals. Find information about selected Hotels, apartments and rooms in Akrotiri to choose the perfect place for your accommodation.